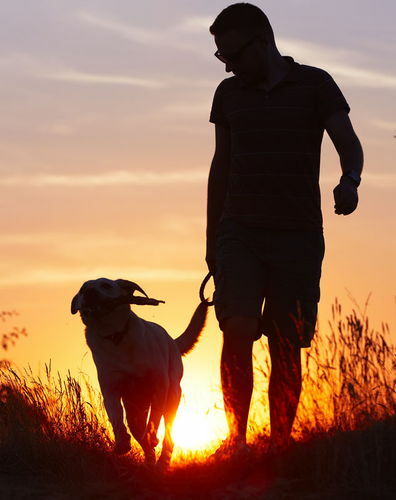 If you are going to be going on a trip, or if you spend a lot of time away from your home, and you own a dog, finding someone to care for it in your absence is extremely important. Many people find that Overnight Pet Boarding is an option that holds many benefits. Contact KKM Veterinary Clinic if you are interested in Dog Boarding for your pet. Here is some information about what you can expect. If you intend on boarding your dog there are a few procedures to follow. It is important to have documentation pertaining to the health of your pet to bring along with you at the time you board your animal. This is important to ensure your pet is up to date on important vaccinations so other pets are not at risk of sickness or injury. Our staff will provide you with a list of required vaccinations to refer to so your pet can get up to date with necessary immunizations if necessary before their stay. Our boarding facility offers several amenities that your pet will enjoy. Dog Boarding rooms are monitored frequently to ensure pooches have plenty of attention. Dogs have the opportunity to play with other dogs in a monitored setting to get activity and much-needed socialization time. Workers are always available to tend to pets so they do not have a chance to become bored or lonely. In addition, you have the benefit of knowing your home is not at risk of a security issue in your absence. When you bring your pet for Overnight Pet Boarding, you have the benefit of having a veterinary service available to tend to your pet's medical needs. This is a huge plus for those who have pets with medical conditions that require medication at specific intervals. If your pet is aging, or if they have dietary restrictions, having a veterinarian available to tend to these needs gives you the peace of mind your pet is being cared for properly. If an emergency situation arises, our veterinarian is available to provide treatment if needed. If you are interested in finding out more about Dog Boarding processes, prices, and availability, contact KKM Veterinary Clinic to speak to one of our staff members. Give us a call at 513-423-2331 to inquire about the services we provide or to make an appointment for Overnight Pet Boarding for your dog today. Our staff is fully trained on Fear Free techniques and dog behavior training. We are also trained in administering both oral medication as well as giving injections, should the pet require medical care during their stay. During our plays sessions and potty breaks, the dogs get to enjoy our artificial turf - never gets muddy and always clean and disinfected! We are passionate about every pet that comes in and spends time with us. We hope to see you soon! We offer several different opportunities for your pet to have fun.